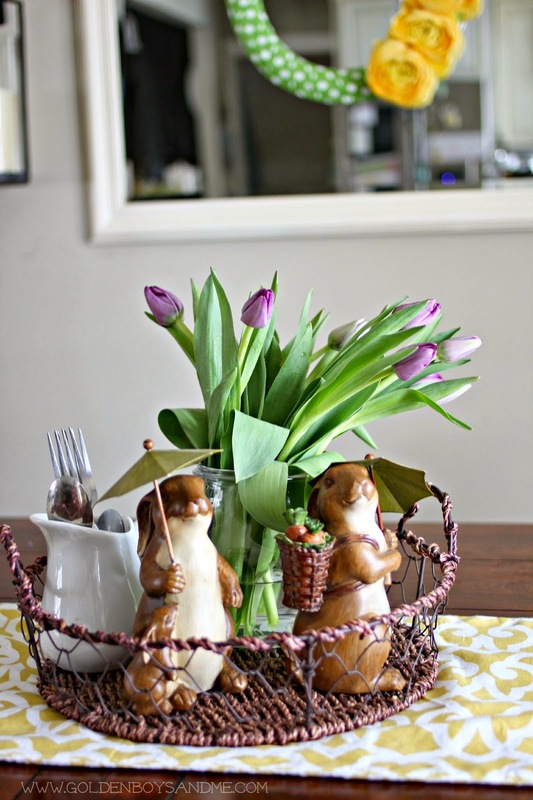 Hello and Happy Spring! We are so happy to say goodbye to a very long winter. 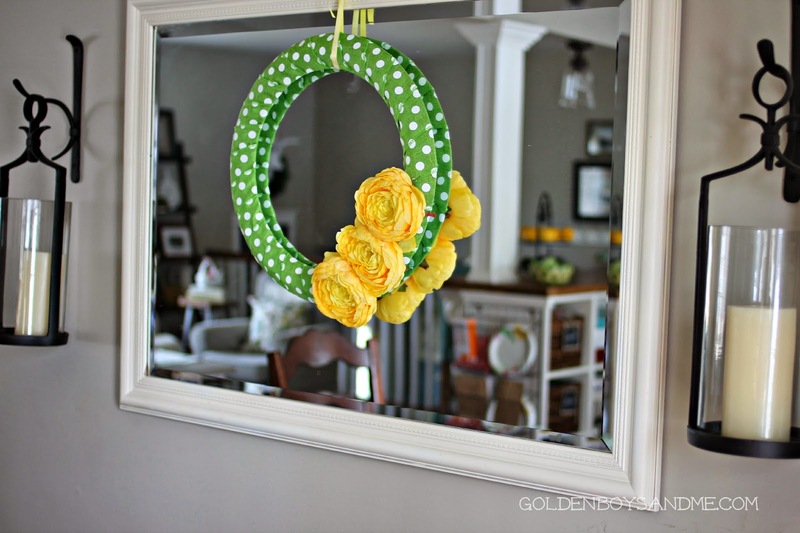 Today, I am sharing a wreath I recently made that is so cheery and spring-y. 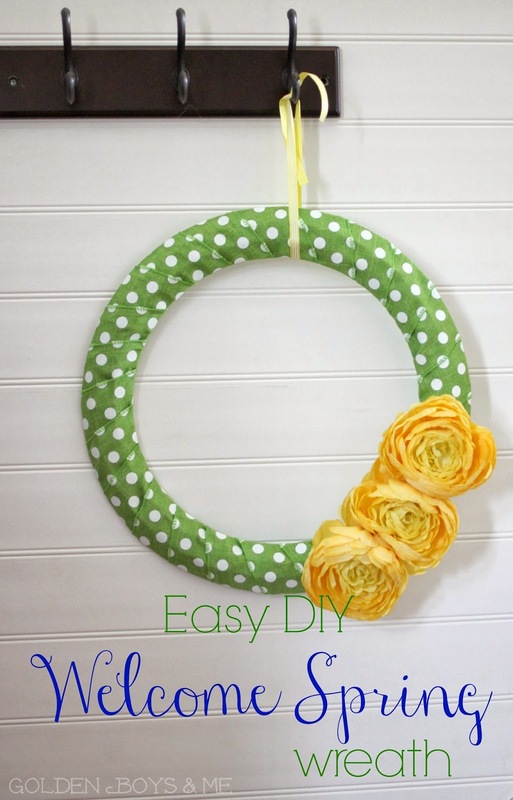 I used a very easy method of wreath making for this one. I used a wire wreath that I had in my basement and wrapped it in some ribbon I picked up at AC Moore. I love the fresh green and the polka dots. 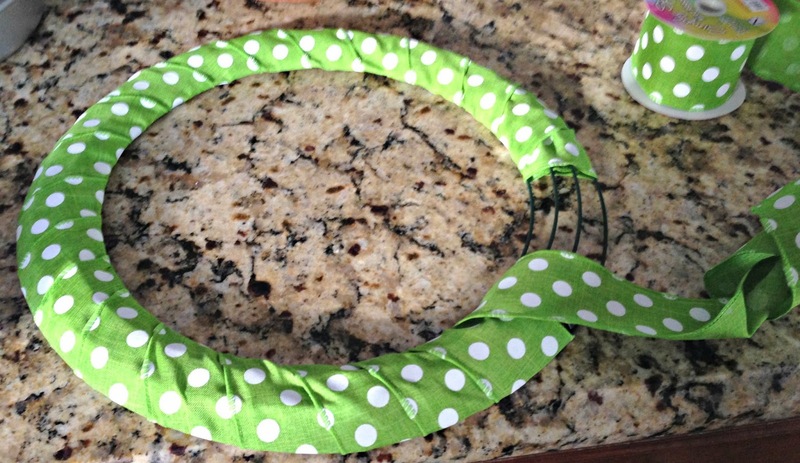 I simply wrapped the ribbon around the wire wreath form. I only needed the one spool of ribbon. Couldn't be simpler! 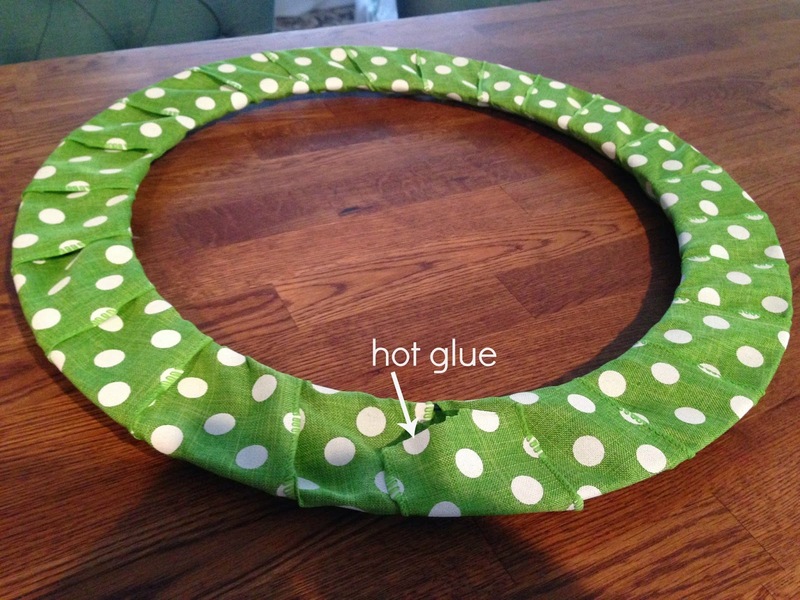 When I had the wreath completely wrapped, I used a hot glue gun to attach the last piece in the back. 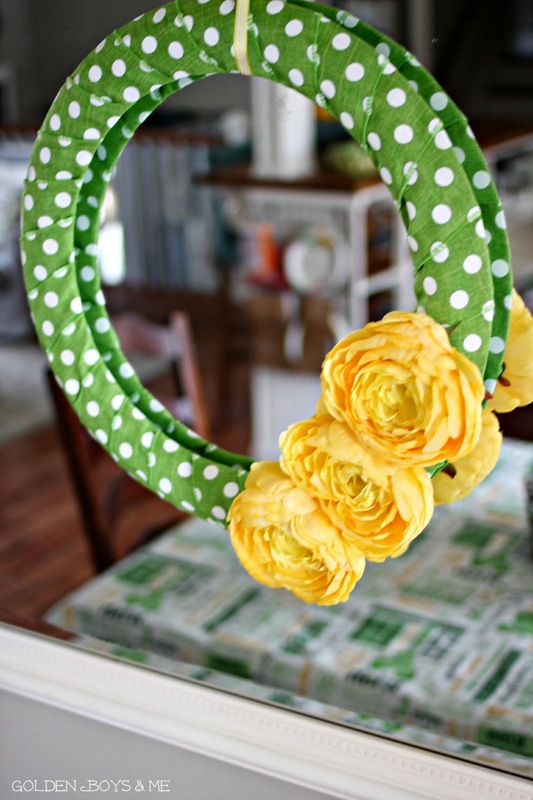 Then, I attached 3 yellow flowers (also from AC Moore) to the front of the wreath with hot glue. I cut a small hole in the ribbon where I wanted the flowers to go and glued the stem of the flower right into the ribbon. 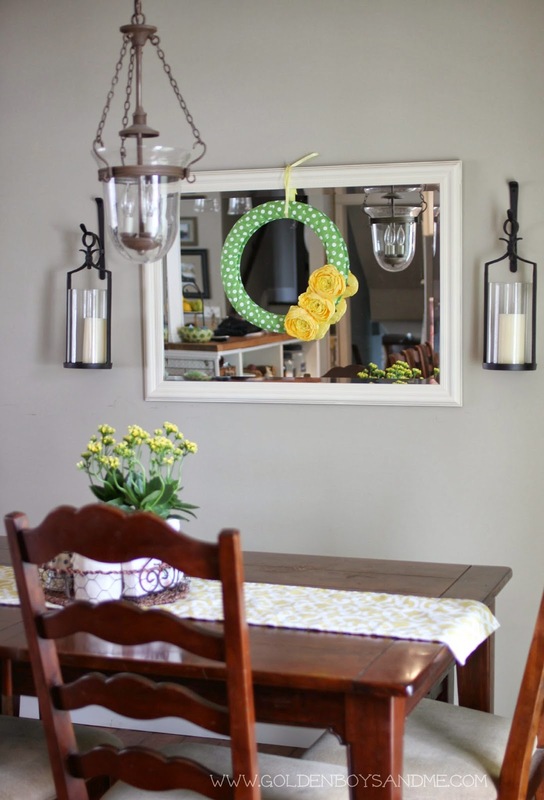 I planned on putting this on my front door, but I decided to use it in the kitchen on a mirror instead where I could enjoy seeing it more. I hope you are enjoying a taste of Spring today. Thanks for stopping by! Maybe a small black chandelier with drippy candles?